With the current emphasis on fuel economy, start/stop systems are fast gaining in popularity, which means that automotive repair shops can expect to see a corresponding increase in demand for parts and services for these vehicles in the coming years, including starters, alternators, batteries, sensors and control units. “Start/stop systems are here to stay. Bosch, the leading supplier of this technology to OEMs has the experience and innovative skills to manufacture top quality components for these systems,” said Fred Padgett, Group Product Manager, Rotating Machines, Robert Bosch LLC Automotive Aftermarket NA. percent of their U.S. vehicle offering equipped with start/stop systems as early as 2017. Domestic manufacturers could offer 50 to 60 percent start/stop-equipped models by the year 2020. The special design of these Bosch starters ensures that they are able to meet the more demanding requirements of a start/stop engine over the entire course of the vehicle’s service life. 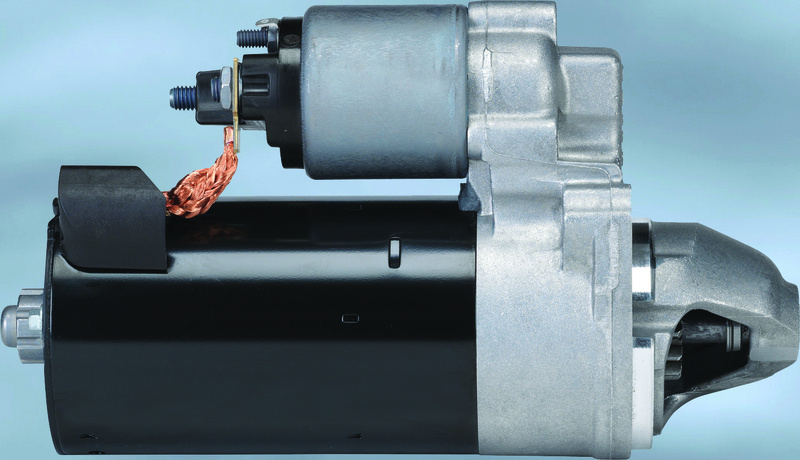 They are engineered to deliver up to 3.5 times the number of cycles of a conventional starter. All start/stop system components from Bosch, including starters, are manufactured to high OEM standards and deliver maximum durability and reliability. Being perfectly matched with the vehicle’s electronic system, they offer excellent functionality and a long service life. Domestic, Asian and European vehicles. importance of quality brand name aftermarket parts backed by full service suppliers, and its impact on delivering reliable products to today’s motorists. For more information visit: www.AASAKnowYourParts.org. In the U.S., Canada and Mexico, the Bosch Group manufactures and markets automotive original equipment and aftermarket solutions, industrial drives and control technology, power tools, security and communication systems, packaging technology, thermotechnology, household appliances, healthcare telemedicine and software solutions. Having established a regional presence in 1906, Bosch employs 24,600 associates in more than 100 locations, with consolidated sales of $10.4 billion in 2013. For more information, visit www.boschusa.com, www.bosch.com.mx and www.bosch.ca.